“Last week it was reported that the churches of America increased their membership by 690,000. Are you encouraged by these figures? I for my part am not encouraged a bit. I have indeed my own grounds for encouragement, especially those which are found in the great and precious promises of God. But these figures have no place among them. How many of these 690,000 names do you think are really written in the Lamb’s Book of Life? A small proportion, I fear. – J. Gresham Machen (1881–1937), The Separateness of the Church: A Sermon Preached in the Chapel of Princeton Theological Seminary on Sunday, March 8, 1925. This was spoken in 1925. 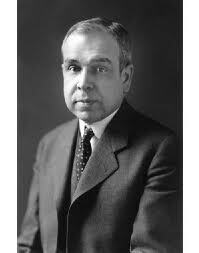 I wonder what Machen would say about today’s churches.